After keeping fans waiting for the past few weeks, the Uni-Lions finally announced the re-signing of right-hander Josh Roenicke for the 2019 Season. 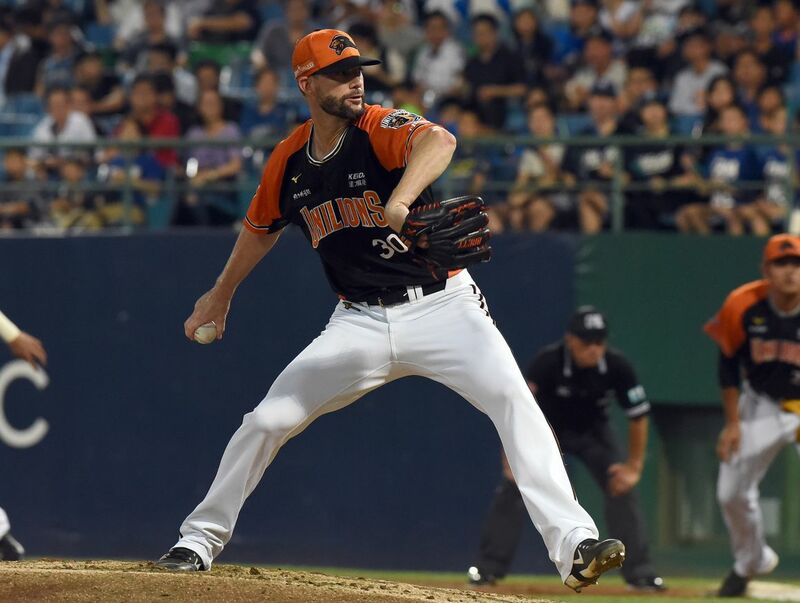 According to the Uni-Lions’ general manager, 36-year-old Roenicke will return to Taiwan for his second CPBL season and reports to the Uni-Lions Spring Training on February 22. Josh Roenicke, who had six Major League seasons under his belt was one of the most dominating pitchers in the 2018 CPBL season. In 26 starts, Roenicke went a total of 156 innings and posted a 3.17 ERA, 1.21 WHIP, 3.77 FIP, 133 ERA+ and 3.64 WAR. 3.17 ERA: 1st in the league. 1.21 WHIP: 2nd in the league. 3.64 WAR: 3rd in the league. 3.77 FIP: 3rd in the league. 156 innings: 5th in the league. Glad to hear that Roenicke will be coming back for a second CPBL season. I thought there might be a possibility he would retire, since he is now 36 years old. The league caught up with him a bit in the second half, so we will see if he is able to make some adjustments and mix things up a bit more in 2019. I think Taiwan’s humidity got him in the second half of the season. (One of the biggest challenges for foreign players in Taiwan). Hopefully he will get used to it in his second tour of Taiwan. The other thing that kills foreign pitchers in CPBL is that the hitters get familiar with the pitcher’s stuff fast. Pro hitters catch up fast once they have seen all of a new pitcher’s pitches half a dozen times. Then the pitcher really has to pitch to throw what the hitters aren’t expecting. Yeah, familiarity is definitely another major killer. This is what makes pitchers like Mike Loree so rare. I think Loree mentioned something similar in one of his interview, he needs to change his pitching strategies all the time and mix up his pitching repertoire. How many foreign pitchers in the CPBL could be good in the KBO? Honestly, I have no idea how to answer this question. I mean there are plenty of CPBL foreign players in the past that moved up to the KBO or NPB and have a decent success. On the other hand, many failed too. If we are talking about pitchers from 2018, if age is not a factor, maybe can give Mike Loree and Bryan Woodall a go. Both have decent control and hard breaking ball with vertical movement. Loree did signed with the kt wiz back in 2014, pitched alright in their farm league (15 starts, 3.63 ERA, 1.29 WHIP, 82K, 94.1IP), however, the kt wiz decided to sign some big leaguer for their inaugural KBO season in 2015.